An outstanding fictional account of the confrontation between Chief Sitting Bull and the U.S. Cavalry under General Custer. 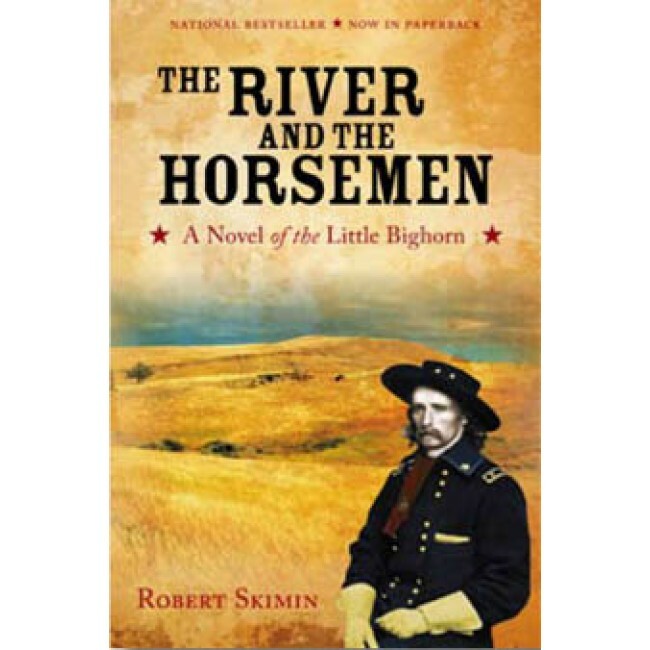 The most compelling account of the Little Bighorn ever written, this powerfully detailed historical novel–imagined on an epic scale with all of the grandeur of the Gilded Age in the East and the Yellowstone country in the West, vividly recreates the lives of two of the most celebrated leaders of nineteenth century, General George Armstrong Custer and Chief Sitting Bull. Rich in detail of Sioux spirituality and culture, as well as the American history and politics of the post–Civil War period, master storyteller Robert Skimin spins an intriguing tale of the personal and political events that led to one of the bloodiest days in western warfare–an infamous day that still captures the imaginations of men and women everywhere. Neither saint nor demon, Custer is, fascinating, arrogant, yet a vulnerable human being. The Battle of the Little Bighorn itself, described in all of its frightening detail, marks the collision of two civilizations: one reaching for its manifest destiny, one struggling for survival. Robert Elwayne Skimin was born and raised in Medina County, Ohio. He enlisted in the Army at age eighteen and was soon its fourth youngest officer. He saw combat as a paratrooper, an artillery officer, and Army aviator, was the first Army pilot to wear the famed Green Beret, and was decorated several times. Skimin is the author of nineteen books including The Booze Game; Soldier for Hire, a four-volume male adventure series; Chikara!, which won the prestigious Ohioana Book Award; Gray Victory, an alternative history in which the South has won the Civil War; Renegade Lightning (with Ferdie Pacheco), a WWII airwar novel; and Apache Autumn, an historical novel of the Apaches that was nominated for a Pulitzer Prize. His sweeping novel of twentieth-century Russia, Derzhava, is in progress. Skimin is also the creator of an illustrated history series for children Danny Drumm’s Heroes, launched in 2006. He lives in El Paso, Texas.